GCWA operates two water transmission systems consisting of raw and potable water that serve industrial and municipal customers, respectively. Several of GCWA’s water lines are reaching the end of their useful life with some lines experiencing repeated failures. Some of GCWA’s lines are extremely critical to customers and any outage to these lines will create hardships. 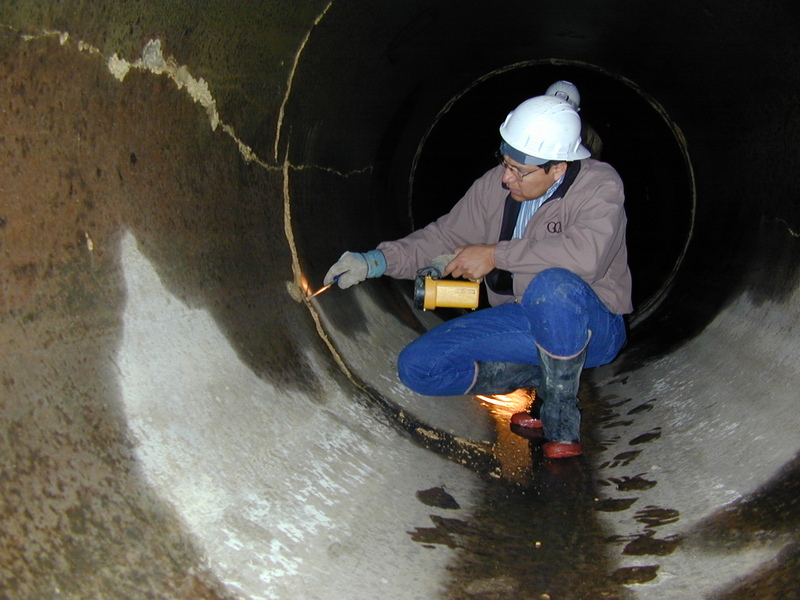 As its consultant, A+ Services supports GCWA in evaluating the most critical water line segments and providing recommendations to further assess the condition of those segments. The objective of the project is to minimize the impact to GCWA’s customers by prioritizing the existing waterlines for more detail assessment or repair/ rehabilitation. Aurora Technical Services’ efforts have included the review of available design records and destructive material testing, the evaluation of prioritization criteria, the creation of a ranking matrix listing the most critical line segments based on evaluated criteria and the development of recommendations for inspection on the most critical lines. 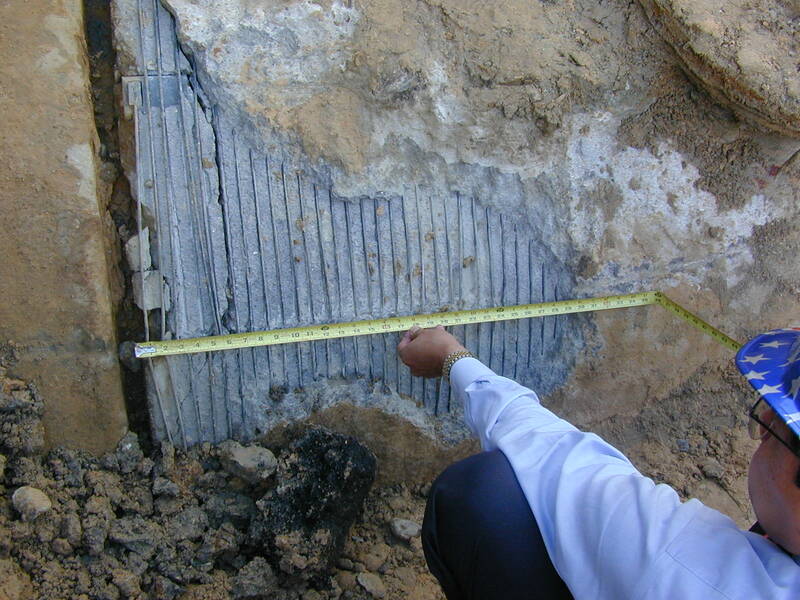 In 2002, the City of Houston experienced a catastrophic failure of a 60” PCCP line constructed in the mid 1970’s. While the repair was underway of the failed section, a team of engineers lead by Rafael Ortega performed a condition assessment of approximately 23,000 LF of the line, referred to as Segment 1. Several additional sections were found to be in distress and subsequently rehabilitated. The remaining portion of the line was not assessed due to water demands and limited system interconnects. In 2010, the City of Houston authorized a team of engineers lead by Rafael Ortega the assessment of Segment 2 of the line that was approximately 15,500 LF long. In order to isolate the segment of the line, several butterfly valves and interconnections had to be incorporated into the project. Additionally, the planning effort included developing of a valve closure and sequencing map to aid the City in minimizing the impacts to its water system pressures. Challenges the design had to address included determining the best way to mitigate impacts to the Gus Wortham Golf Course and the adjacent Forest Park Cemetery—which the 60” crossed within water line easements. The team of engineers lead by Rafael Ortega performed manned entry of the line, supported the Electro Magnetic Testing (EMT) performed by others, identified the appropriate material testing of the pipe sections, and evaluated the risks of failure. Based on the manned entry and EMT findings, the pipeline was found to have 20 sections, or less than 3% of the line, with distress. Based on the material testing the risk assessment concluded that only seven sections of the line were in need of rehabilitation. The majority of the seven sections existed in the portion of the line parallel to a UPRR track on one side and a residential neighborhood on the other side. Due to the criticality of the line and the potential consequences of failure, a dynamic monitoring system (Acoustic Fiber Optic – AFO) was installed in the portion of the line assessed. The seven sections were rehabilitated using a combination of point replacements, repair clamps and carbon fiber reinforcement polymers (CFRP) system. Additionally, the pipe joints were bonded in the portion of the line that was originally manufactured with “shorting straps” for continuity of the line. Finally, cathodic protection test stations were installed to aid in monitoring of the line and facilitate the possibility of installing a future impress current cathodic protection system to extend the pipeline’s life. To date, no further failures in the line have occurred in either Segment 1 or 2. In September 2014, the MDWASD issued an emergency construction contract to rehabilitate several sections of 48” PCCP line constructed in the early 1980s which were showing distress activity based on the previously installed acoustical fiber optic (AFO) monitoring system. Previously, in 2011 and 2013, two separate construction contracts had been issued by MDWASD to perform similar rehabilitation. The original assessment in 2011 was performed using Remote Field Transformer Coupling (RFTC) evaluation via the PipeDiver technology. This assessment was prompted due to a prior failure of the PCCP line several years earlier. Due to the limited records available, the analysis was based on a number of assumed values. Therefore, at the request of MDWASD, a team of engineers lead by Rafael Ortega was authorized to perform a manned entry of the 48” within the limits of the line where the CFRP was to be installed, or approximately 2,800 LF to confirm the prior RFTC findings and evaluate the performance status of the previously performed CFRP installation. During the assessment, several deficiencies within the pipeline were encountered. 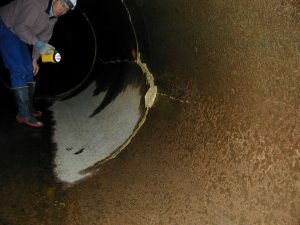 These deficiencies included; joint grout failure with level 3 corrosion, longitudinal cracks with calcification build up, and various deficiencies in 17 of the prior 24 CFRP rehabilitated pipe sections. As a result of these deficiencies, MDWASD requested support in determining appropriate repair protocol of the deficiencies.